This entry was posted in Allegorical Servant- a pasture of love, poetry and song and tagged Black, blind, children, equality, hate, kids, love song, lyrics, Martin Luther King Jr., racism, sisters and brothers, song writing, White. It’s a great morning to start and thank you for composing this poem. 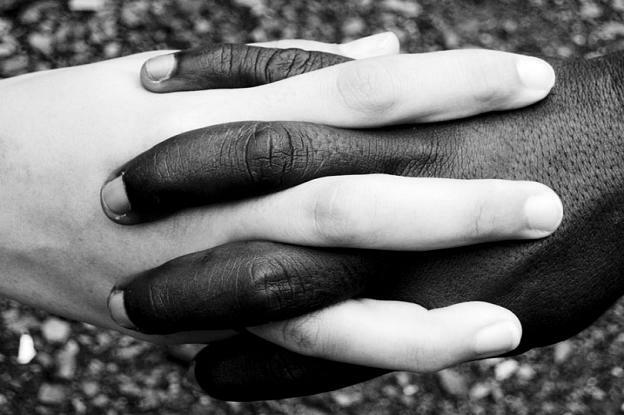 I always believe in the characteristic of a person, disregard of his/her race. After all, our blood is still red. Why can’t we be good to each other? We only live once. If there’s next life, I don’t think I’ll come back with who I am now. These people really should learn. I agree. Often, it seems to come from loyalty to our fathers and grandfathers. Others who have been injured by this hatred on a personal level fall victim to the notion that one should hurt those who hurt them. Why can’t we just respond to getting hurt by being hurt? Perpetuation of something like this… it robs so many of the beautiful people in this world. In the end…it robs the bigot of his own beauty. satu cinta !